Did you know that we have performed over 6,000 spays and neuters on countless male and female dogs of all breeds and ages? That’s a pretty remarkable feat! We are proud of the experience and expertise we bring to these procedures. While we do not consider spay and neuter procedures to be "routine" and all general anesthesia procedures have a risk of complications, spay and neuter procedures are considered safe and are strongly recommended by all major veterinary organizations including the ASPCA and the Animal Humane Society. From the time your puppy or adult dog enters our doors, it will be treated with compassion and concern for its comfort. Our nurses will treat your puppy as their own. All puppies will receive pain medications before the procedure begins and after. Our anesthesia and patient care protocols will be tailored to your puppy's breed and size. While your puppy is under anesthesia, our veterinary staff will monitor a number of vital signs including body temperature, blood pressure, oxygenation and anesthesia depth. The surgery will be performed by our veterinarians who have many years of surgical experience. How Our Dog Neuter is Different from Cheaper Options? Other than our experience, there are numerous ways! When you are calling to price compare, it is VERY important to know what pricing does and does not include. We have adjusted our pricing to make it affordable for you while providing the best care for your pet. Every dog neuter patient has a dedicated anesthetic technician to monitor them during the entire procedure. Each patient has preanesthetic bloodwork, an IV catheter, IV fluids and a new sterile endotracheal tube that secures a patent airway. We never reuse our endotracheal tubes between patients. We treat each dog neuter as a sterile procedure. This means, we use new sterile gloves, a new sterile gown and sterile instruments. We use a cutting edge pre-surgical sterile scrub/prep for our patients. Every dog neuter is performed in our surgical suite and there is only one pet procedure at a time. Period. After the surgery your pet will have a warming blanket, pain medication and an assistant to be with them as they recover from anesthesia. We offer breed specific preventative plans for stenotic nares, prevention for bloat etc. These are things that should be discussed for some pets during a spay/neuter procedure and often aren’t discussed or offered at lower cost options. We go above and beyond to make sure these procedures are as safe as possible. Please call us at 312-583-1921 for further information. Two dogs and their offspring can produce 67,000 more dogs in six years that need homes and veterinary care. *A recent retrospective study found that 100% of older intact male dogs had some form of prostatic disease. It will not make your dog fat – lack of exercise and too much food results in obesity. It does not make your dog “less of a man” or sad because they will never have “children.” We tend to project our feelings about reproduction onto our pets – animals reproduce from instinct, not from emotion. Getting your dog neutered will not alter your dog’s basic personality, except that sterilized pets tend to be more calm, more focused on you and less likely to roam. Neuter your dog, although a major surgery, is the most common surgery performed and usually the recovery time is a couple days to a week. No dog is too old to be neutered, and the benefits at ANY age outweigh the risks. As you now know, neutering your dog is preventive medicine! How Our Dog Spay is Different from Cheaper Options? Every dog spay patient has a dedicated anesthetic technician to monitor them during the entire procedure. Each patient has preanesthetic blood work, an IV catheter, IV fluids and a new sterile endotracheal tube that secures a patent airway. We never reuse our endotracheal tubes between patients. 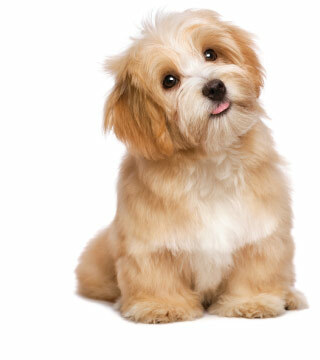 We treat each dog spay as a sterile procedure. This means, we use new sterile gloves, a new sterile gown and sterile instruments. We use a cutting edge pre-surgical sterile scrub/prep for our patients. Every dog spay is performed in our surgical suite and there is only one pet procedure at a time. Period. After her spay surgery your pet will have a warming blanket, pain medication and an assistant to be with them as they recover from anesthesia. Female dogs should be spayed before they go into their first heat (6-7 months of age). Numerous studies have proven that spaying a dog before she goes into heat is overwhelmingly advantageous for long-term health. For example, if you spay a dog before her first heat, you decrease her chances of developing mammary tumors by over 90%! Mammary tumors are the number one tumor in female dogs and most are malignant. We can prevent these devastating tumors by spaying early. Controls the pet population crisis by avoiding unwanted pregnancies ~ Two dogs and their offspring can produce 67,000 more dogs in six years that need homes and veterinary care. Spayed pets live an average of 4-6 years longer! It does not make your dog “less of a woman” or sad because they never had “children.” We tend to project our feelings about reproduction onto our pets – animals reproduce from instinct, not from emotion. Spaying your dog will not alter your dog’s basic personality, except that sterilized pets tend to be more calm, more focused on you and less likely to roam. Getting your dog spayed, although a major surgery, is the most common surgery performed and usually the recovery time is a couple days to a week. No dog is too old and the benefits at ANY age outweigh the risks. As you now know, spaying your dog is preventive medicine! To help your dog have a long and healthy life, schedule to have her spayed. Metropolitan Veterinary Center provides the safest anesthetic protocols individualized for each pets specific needs, careful monitoring during the procedure and sterile surgical technique to insure the safety of your pet! You can read about more about the extensive experience of our vets and unique protocols that we employ in all of our spay and neuter services. We are happy to answer any questions you may have about the procedure and to schedule your appointment. Call us at 312-583-1921.